We’ve been waiting for this for quite some time – the next generation Wii gaming console, the Wii U, will finally be revealed. Or perhaps we should say we’ll finally get to see the ‘final reveal’ of the Wii U. Back in October, Nintendo’s president Satoru Iwata gave us a ‘preview reveal’ of the new Wii and said the company wanted to have the new console completely ready to show off at the 2012 Electronic Entertainment Expo (E3) in LA. Looks like they made it. Nintendo is planning to have a big press conference at the E3 on June 5th, at 12pm Eastern time… and Spike TV has announced that they will be airing the conference live, as it happens, commercial free. According to the announcement from Spike TV, the press conference will include an “inside look at Wii U and Nintendo 3DS games, exclusive trailers, and more.” The conference will also be televised on MTV2 on Spike TV’s “E3 All Access Live” live program. So what should we expect from the Wii U final reveal? 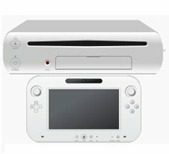 We have no leaks (yet) regarding the price of the new Wii U, or exactly when it will launch. It is expected to hit shelves sometime later this year. Fall would be a good bet. As soon as we learn more – we will update you here at CP.